Experience Bond on the big screen accompanied by the power of the Melbourne Symphony Orchestra performing composer David Arnold’s thrilling musical score live and in sync to the picture! 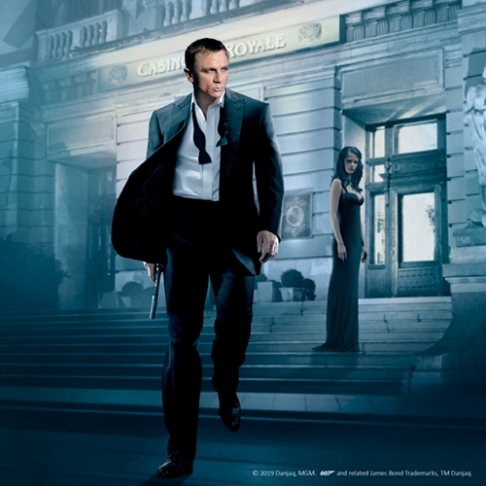 Casino Royale also features Mads Mikkelsen as “Le Chiffre,” Eva Green as “Vesper Lynd”, Judi Dench returning as “M” and locations for the film include the Bahamas, Montenegro, and a jaw-dropping finale on the Grand Canal in Venice. Learn more about David Arnold’s from three film experts, Dr Dan Golding, Andrew Pogson and Conductor, Nicholas Buc, from The Art of the Score podcast as they breakdown the melodies and motifs found within the film’s score. Pre-concert talks will commence at 6.15pm inside Hamer Hall.